UPDATE 4.30pm: TWO fires remain on Watch and Act status on the Northern Rivers as unpredictable conditions continue to challenge firefighters. 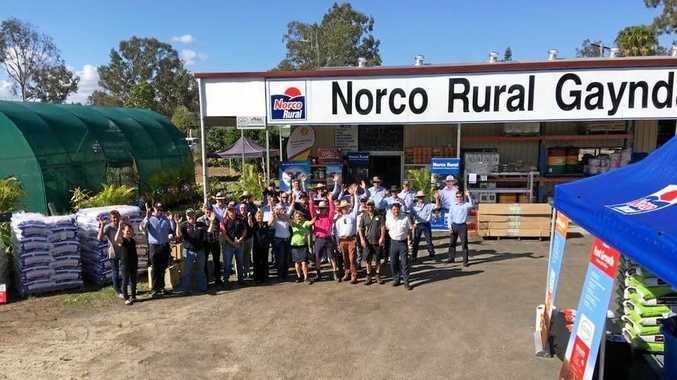 Northern Rivers Rural Fire Service Superintendent Michael Brett said changing wind directions and hot weather had made life difficult for their crews throughout the day. He said crews at the Mothersoles Rd, Ellangowan and Brewers Rd, Kippenduff fires would work on containing both overnight. He said aircraft were using fire retardant lines to protect a home in the Kippenduff area, but was hopeful no property would be lost. "We haven't lost any homes, we haven't lost any lives," Supt Brett said. Wind conditions there have been ever-changing so firefighters have had to continually change their strategy. "It's getting hard," he said. He said the Ellangowan fire, which has burnt through 2781 hectares, was continuing to grow in the direction of Lagoon Rd. As assisting crews from the Central Coast and Hunter regions complete their final shifts today, Supt Brett said new faces from the Central Coast, Sydney and Western Region would soon be on the ground. "That'll be great," he said. UPDATE 4.18pm: FIRE crews are protecting properties from a fire in the Wyan area. 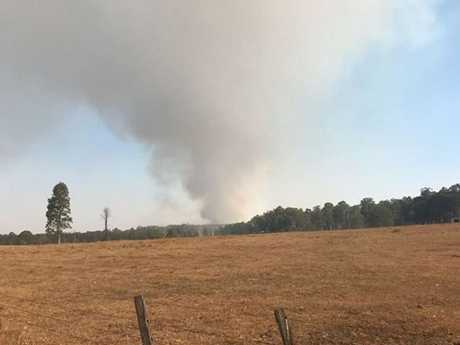 A Fire and Rescue Lismore spokesman said five Fire and Rescue NSW crews were assisting the Rural Fire Service in the vicinity of Old Tenterfield Rd. "At this stage information is limited but crews are providing property protection to a number of properties in the area of this fire," he said. It's understood some homes in that area may have come under attack from embers. A nearby fire at Brewers Rd, Kippenduff remains under Watch and Act status, as does one at Mothersoles Rd, Ellangowan. Firefighters and aircraft are still working at both incidents, where increasing winds have led to increased fire activity in the past hour. The Ellangowan fire has been increasing amid dry and windy conditions. There is increased fire activity toward Lagoon Rd. 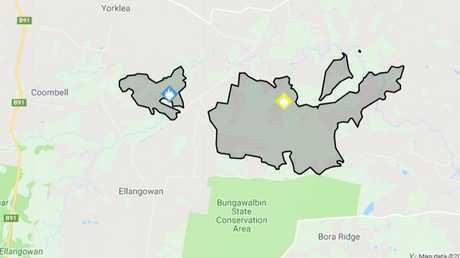 UPDATE, 2pm: A FIRE burning at Ellangowan is again threatening properties. Rural Fire Service Northern Rivers Superintendent Michael Brett said the fire had broken out of containment lines in the Lagoon Rd area. He said strong winds had whipped up the fire today. "It's not behaving," Supt Brett said. He said winds had stirred up the fire, which escaped towards West Coraki over the weekend, and properties were again at risk of being impacted by fire. The fire is moving in a north-westerly direction. It has so far burnt through about 2064 hectares and five aircraft are assisting firefighters to contain the blaze. Supt Brett said firefighters would be in property protection mode for nearby homes and other assets. He urged residents to be prepared as the fire, which has been upgraded again to Watch and Act status, continues to burn. "They need to enact their Bush Fire Survival Plan, and plan for potential fire impact," he said. "There will be firefighters in attendance in the area." He said the fire was emitting a large amount of smoke. "It's creeping along, it's putting up a lot of smoke so it looks fairly angry," he said. 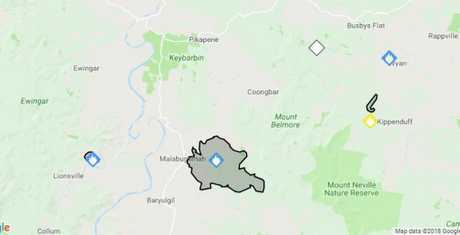 Another fire burning on Brewers Rd at Kippenduff has also been listed as Watch and Act, along with one at Welsh Rd, Mookima Wybra in the Clarence Valley. The Kippenduff fire has burnt just one hectare but is out-of-control and firefighters are at the scene, assisted by aircraft. A number of rural isolated properties are in that area. Residents who do not have a Bush Fire Survival Plan should decide what they will do if fire threatens their property. Leaving early is the safest option. Original story: FIRE crews are continuing to work to control fires across the region. 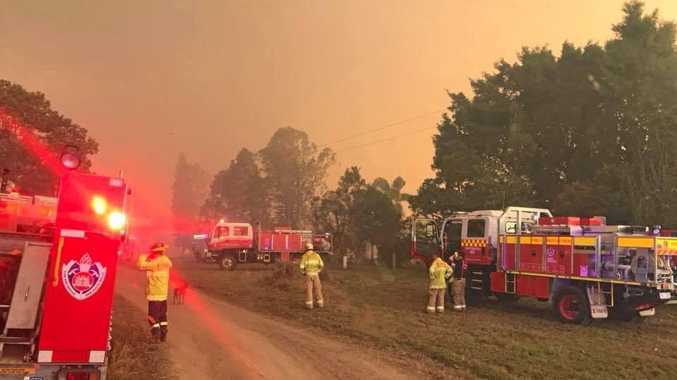 RFS Northern Rivers Superintendent Michael Brett said crews across the district would continue containment efforts today. "It's all going to be subject to the winds," he said. Yesterday's conditions saw a break-off from the large fire on Mothersoles Rd at Ellangowan. "It came within fairly close proximity to a number of farms at the end of Lagoon Rd," Supt Brett said. Supt Brett said this could pose a challenge for firefighters in the form of a new 5.5km firefront, depending on winds. The peat-dense, swampy area the fire had burnt into could prove problematic. "It's going to make it very hard because it's got out into peat and swamp country," he said. He said peat could see the fire burn underground for some time before re-emerging without warning. Firefighters are meanwhile monitoring a blaze on Brewers Rd, west of Whiporie. Supt Brett said this had the potential to cause "a few headaches" due to the inaccessible landscape, so fixed wing aircraft are assisting with monitoring and wetting down that fire. Crews have also been on the ground at a fire north of Grevillea. "They're just patrolling (that fire)," he said. "Hopefully the weather and winds will be in our favour." Supt Brett said volunteers across the district were now feeling the fatigue of a busy two months. "We're doing alright but it's sort of getting hard on the volunteers," he said. He said four firefighters whose truck was overcome by fire near Tabulam on Saturday were recovering well. "They went through an experience you hope you never have to," Supt Brett said. He said they were back on the fireground - in another truck - the same day. Supt Brett said firefighters who had travelled from the Central Coast and Hunter regions would have their final shifts on the Northern Rivers today. But he said their presence had made a big difference in offering local crews some reprieve. For updated fire danger information visit rfs.nsw.gov.au.